Fluidic manifolds are well known to be a great way to reduce system complexity, tubing, interconnects and simplify valve mounting in liquid and gas management applications. They are very widely used in medical, life sciences and industrial applications in both metals and plastics. Manifolds are used for systems including pneumatic control, liquid channelling, sampling, dosing, hydraulic control and washer solutions. They reduce manufacturing costs, assembly time and servicing requirements by incorporating system complexity into a single component. The traditional way to manufacture fluidic manifolds is to cross-drill the channels and valve seats from multiple faces and angles, ensuring the holes intersect where required. Any unwanted holes created to make the channels are then plugged with various methods, mainly cemented plugs for plastic, and threaded, screw-locked plugs or welding for metals. As all channels are created from straight, drilled holes, the positioning of valves, connectors and other components are driven by what can be achieved through drilling and plugging. You only need to have a few of these parts on a manifold before it can start to look ugly with valves and other parts sticking out at various angles to match the straight line restrictions. The result is often the manifold takes up a considerable and awkward space envelope, and the components face multiple directions on different planes making assembly, and especially servicing very difficult. Cross-drilled intersections need to match accurately which becomes increasing more difficult to manufacture with narrower holes and intersecting more than two paths, leading to unwanted flow restrictions. In the worst cases, quality issues can arise with partial or non-intersecting holes that are not picked up until final component installation by the client. The intersection points are also notorious for creating burrs that are difficult to detect and remove. The other restriction is that intersections are always sharp angles creating sudden changes in fluidic direction, instead of smooth, curved transitions, which are often preferred to reduce resistance and encourage more laminar flow. Gun drilling only goes so far, and creating deep, narrow channels is subject to deviation due to long drill bit flexibility. With plastic manifolds, the use of cemented plugs adds a contaminant into the product, which is often a challenge for medical devices, or IVD manifolds which need full control and approval of all fluid contact materials for biocompatibility. The restriction of only round channels is limiting for some applications, especially in IVD, where other geometries are often required. The right surface finish of the channels can be difficult to achieve, as internal polishing of deep holes is impractical even with vapour polishing for plastics. Cross-drilled manifolds are not suitable for microfluidic applications. The best alternative to the more complex, cross-drilled manifolds, is diffusion bonded plastic manifolds, which can be used for the majority of applications currently using metal or plastic. High Accuracy Bonding (HAB) techniques used by Carville, are based on advanced diffusion bonding and can eliminate all of the design and manufacturing issues above and also offer much more. They have been successfully used for over 30 years, especially in medical and life science applications, and are now being far more widely adopted for their superior performance and flexibility. The manufacturing process involves machining channels, holes and shapes in multiple plastic layers and then bonding them together to create multiple, three dimensional fluid paths in a single manifold component. The bond is at a molecular level with similar properties to the parent material and does not involve any adhesives. Post bonding machining is then used to create valve fixings, connector and other component fittings. As the channels are milled on a plane, there are almost no limitations on the direction and shape of these. One key advantage of this is that all the valves and components can be lined up neatly on a single surface, with the three dimension channels dealing with the complexity. This also results in far more control of the shape and space envelope of the manifold. Assembly and servicing costs can be dramatically reduced. The majority of intersections can be created by milling channels with guaranteed smooth transitioning and no burrs. Where drilled holes and milled channels intercept, there is far greater control and design flexibility, with the length of drilled holes typically far less than with cross-drilling. If transparent or even semi-transparent plastics are used, most issues can be visually picked up and easily rectified. The other benefit is that changes in fluid direction can be smooth, curved paths either vertically or horizontally creating predictable flow characteristics. There is no restriction on hole length to depth ratios as milling is used on both mating surfaces so you can have a 0.5mm diameter hole, 1 metre long if required. No plugs are required and the bonding does not use any cements or adhesives, so the final product is 100% parent plastic material, making is far easier to get biocompatibility approval. Multiple channel profiles can be created, with expanding or contracting sections, orifice pressure measurement elements and mixing chambers all possible. There is far more scope on the surface finish of the channels with vapour polishing on each layer before bonding to provide additional superior and more controlled finishes. Volumes for reservoirs can be created within the manifold layers, omitting the need for additional volume components. 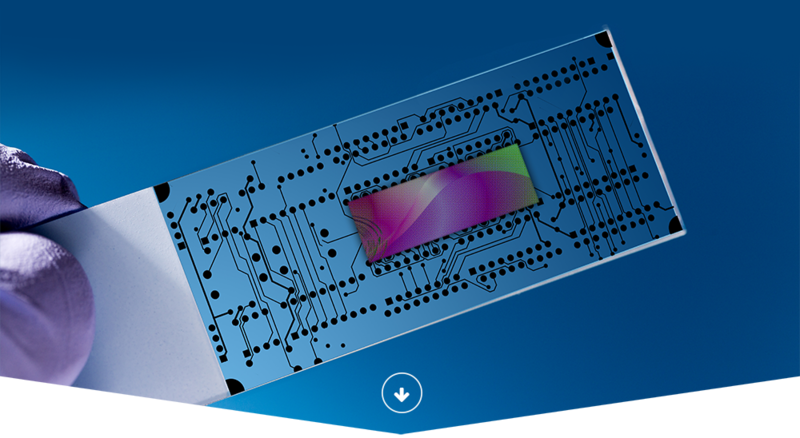 Channels down to 150 micros can be created for microfluidic applications. The complexity that can be built into bonded manifolds and removed from the wider system is vast, dramatically reducing overall system complexity by the use of a single, repeatable component, far exceeding anything that can be achieved by cross-drilling. HAB has also been developed to encapsulate and bond in many different components, including membranes, steel tubes, foils and spheres in various materials. High pressure applications can also be accommodated with the selection of appropriate wall thickness and channel dimensions. 3D printed manifolds are now possible and useful as visualisation prototypes for some applications as they are quick and cost effective to produce. The current technology is still limited on suitable materials, accuracy, post machining and finishes, and removal of un-fused material in channels on complex manifolds remains unresolved. For further information on bonded manifold design or to discuss an application, please contact Carville Ltd below and follow us on LinkedIn.